Students design, build and program a robotic “super crawler” to transport a payload from a starting position to a target launch pad, use a robotic arm with an end effector to deliver the payload in an upright position and return the robot to the starting point. 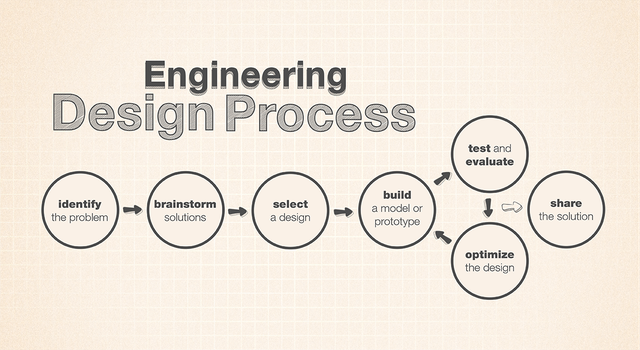 Students will use the engineering design process to guide them in completing the challenge. The speed of the crawler may play a role in transporting the rocket safely to the launch pad, and the speed of the arm or end effector motion may affect the delivery of the rocket to the target in an upright position. 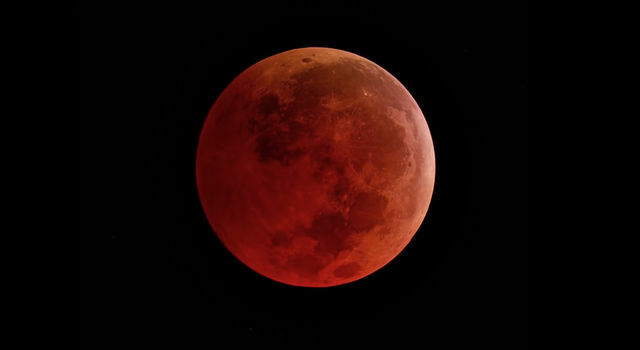 The arm end effector design and delivery method are entirely up to the designer(s) as long as they are within the design constraints and meet the criteria for the challenge. Students should be encouraged to draw upon their personal and cultural experiences throughout the design process. How would you transport an 18-million-pound rocket and mobile launch pad three miles and deliver it upright for launch? What kind of grapple, end effector or robotic hand would be best suited for holding and moving such a massive object? 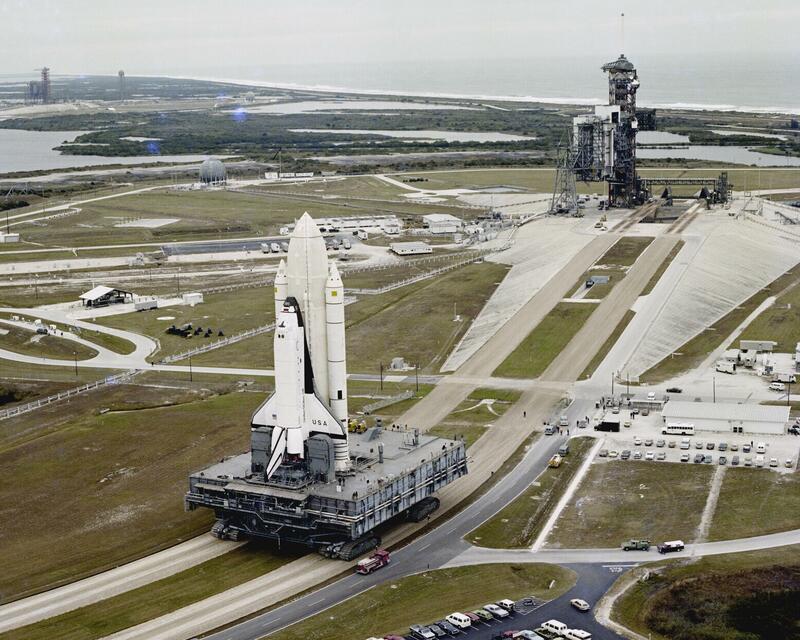 For more than 40 years, the twin crawler-transporters at NASA's Kennedy Space Center slowly traveled the gravel track between the massive Vehicle Assembly Building and the two launch pads at Launch Complex 39. These mammoth vehicles first carried the Apollo Saturn V rockets, and later the space shuttles, before they were launched into space. The technology used to build these huge, reliable crawlers capable of such herculean tasks was deeply rooted in a region where giant machines excavated and extracted veins of coal. With the future of Space Exploration calling for super-sized exploration vehicles, NASA now needs super crawlers. Upgrades to crawler-transporter 2 in 2016 allowed for an increase in the lifted-load capacity from 12 million to 18 million pounds to support the weight of the mobile launcher and future launch vehicles, including the Space Launch System (SLS) rocket and Orion Multi-Purpose Crew Vehicle. Ask students to consider how would you transport an 18-million-pound rocket and mobile launch pad three miles and deliver it upright for launch? What kind of grapple, end effector or robotic hand would be best suited for holding and moving such a massive object? For this challenge, students will need to build a robot to simulate this rocket transportation technique. Equip a robot crawler to transport a payload. Program the robot crawler to transport the payload to a launch pad 91.5 cm (about 3 feet) away. Deliver the payload upright on the target launch pad. Return the robot crawler to the starting point. Once students run the program, they must not touch or apply any outside force to the robot or the payload. Only programmable motors can be used for arm controls, no sensors. The challenge relies solely on wheel rotations for distance and power management for speed. No other sensors may be employed in the challenge. After all students have completed the challenge, provide teams with time to create a reflection about their challenge and design process experience. Reflections should include a component for academic language, and detail the obstacles faced and how they arrived at solutions. These reflections can take the form of a written sample or class presentation. Consider asking students about their knowledge of heavy machinery: Big jobs sometimes require heavy machinery. What heavy machines with wheels or “tracked wheels” have you seen? Answers will vary. Examples could be tractors, combines, backhoes, dump trucks, bulldozers, etc. Ask probing questions to learn more about students’ background knowledge about these machines. Perhaps relatives work with heavy machines or they have a tractor or combine at home for farming. Students can do further research on sensors included with their robot to improve the design and make their Super Crawler more effective. After researching and practicing programs using sensor capabilities along with rotations and arm movement, the challenge could be repeated with turns or obstacles in the pathway to the target. 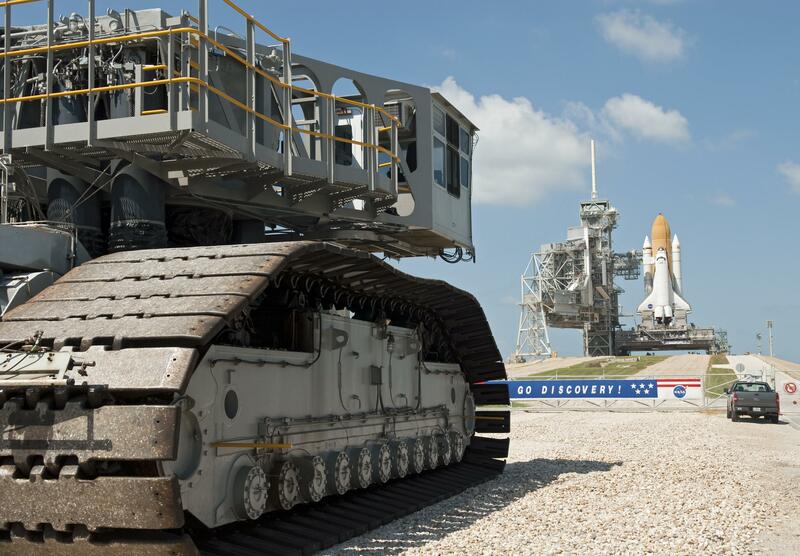 Feature Story: "Slow-Motion Giants Carry Shuttle to the Pad"
News Article: "New Roller Bearings Tested on Crawler Transporter 2"